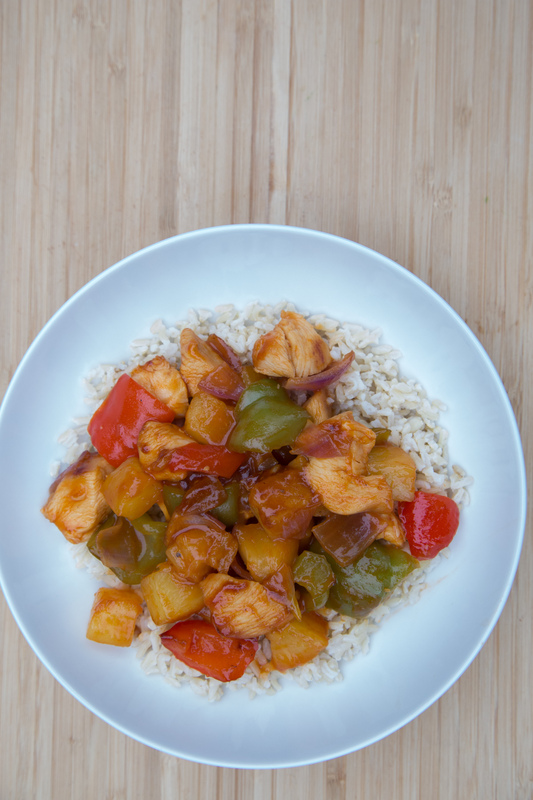 An Instant Pot twist on a classic “fakeout-takeout” meal - Sweet & Sour Chicken. Please make note of when the cornstarch is added :) We hope you enjoy this as much as we do! Place the chicken pieces and red bell pepper pieces into the electric pressure cooker insert with the hot water. Pour the pineapple chunks around the chicken. Season with a sprinkle of salt and pepper. Pour the pineapple-soy sauce mixture over the top. Swirl the cornstarch with a few Tbsp of water and stir it into the sauce. Cook for 30 more minutes to allow sauce to thicken. Garnish with sesame seeds, if desired. 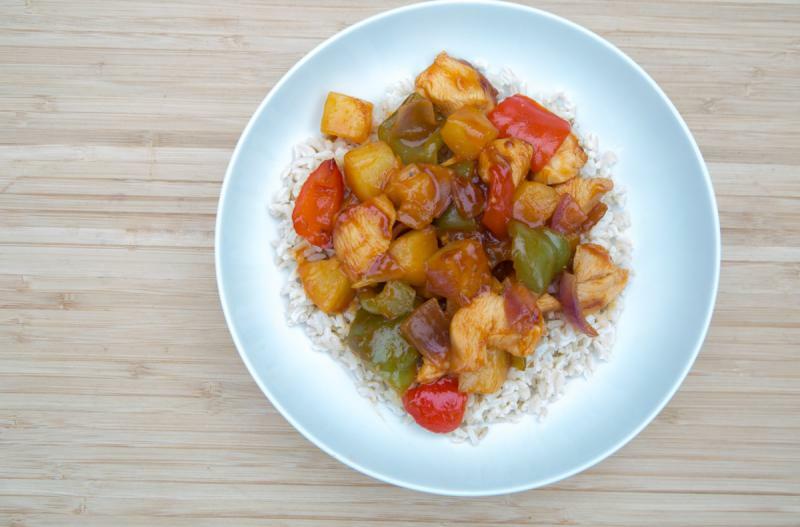 Serve Instant Pot Sweet & Sour Chicken over rice with side of veggies.